I’d like to present my latest modular, the Beloved Belle, which is named after the wedding dress shop on the ground floor. 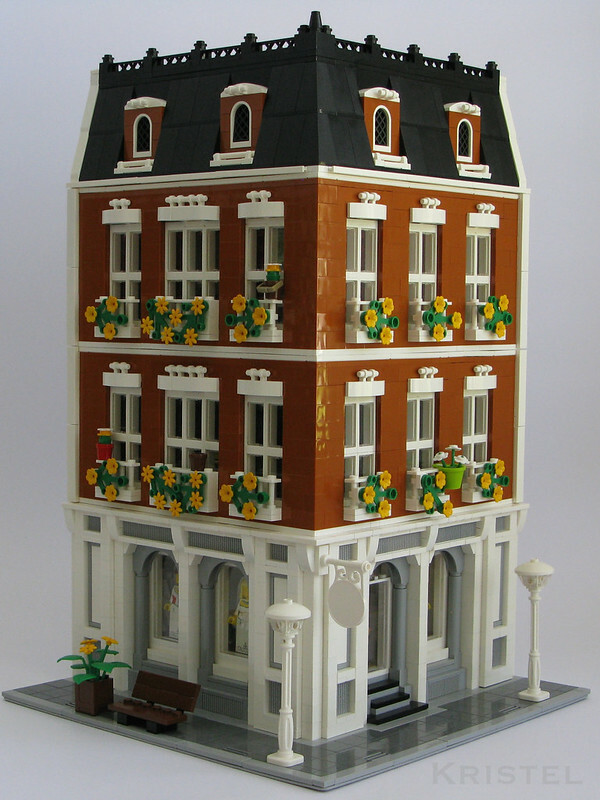 It is fully furnished, with the wedding dress shop, two apartments and an almost bare attic. Konajra’s minifigures are hard at work renovating this former industrial warehouse into a luxury home. I love the overall semi-industrial look and feel of this building, as well as the colour combination. The stand out features for me, however, are how Konajra has done the roof for this building and the wrought iron details above the courtyard. Konajra intends to include this stunning building into a harbour town, alongside his recent garage. I’m looking forward to seeing this harbour scene develop! See Konajra’s flickr photostream for more images!